The role of exercise and sport in a child’s life cannot be underestimated and here at Ardscoil na Tríonóide we offer many extra-curricular activities which play a large part in school life. Taking place both during and after school, students have the unique opportunity to develop their social skills along with their physical well-being. Basketball has a long reigning tradition here since the amalgamation 10 years ago. With more than six teachers involved in the teams from 1st year to 6th year, the progress and upcoming success is evident within each team. 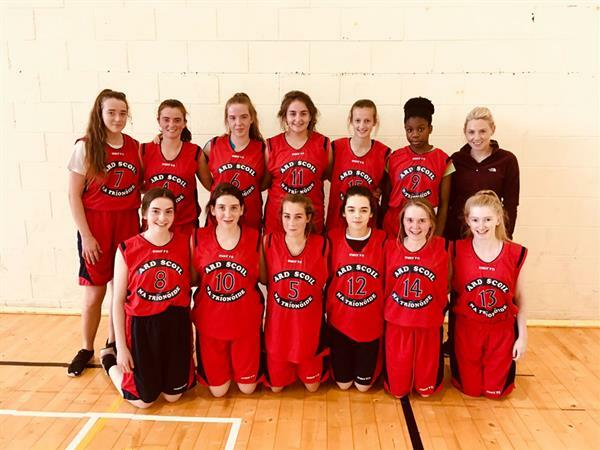 Basketball at Ardscoil na Tríonoide is offered to both boys and girls in each year group, with many of our team members hailing from local basketball clubs. It really is an exciting and riveting sport that suits all fitness levels. The game will be sure to get your heart racing regardless of your experience.